African Americans faced limited educational opportunities in Mississippi at the turn of the twentieth century. 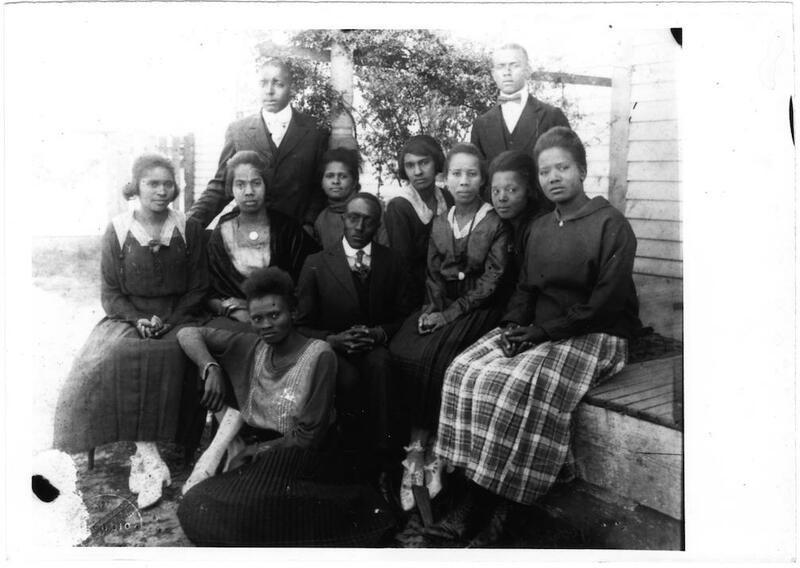 To challenge those limits, Jonas Edward Johnson and Bertha LaBranche Johnson founded the Prentiss Normal and Industrial Institute in Jefferson Davis County in June 1907. The Johnsons purchased forty acres of land from a white family, and J. E. Johnson became the school’s first president, serving until his death in 1953. Bertha succeeded him, remaining at the helm until her death eighteen years later. J. E. Johnson, who graduated as valedictorian from Alcorn Agricultural and Mechanical College, and Bertha Johnson, who studied under Booker T. Washington at the Tuskegee Institute, not only enabled thousands of young black Mississippi men and women to obtain schooling but also helped to build relationships and promote cooperation across racial lines within the local farming community. The Johnsons’ first group of students consisted of forty children from poor local farming families. Many parents paid the tuition with vegetables, chickens, and eggs. In 1909 the Mississippi Department of Education licensed the Prentiss Institute as a private high school. An old plantation house housed the school until the Johnsons raised funds to build an academic building that also served as the girls’ rooming house, a boys’ dormitory, a boarding hall, two homes for teachers, and a trades building. The institute offered a regular academic curriculum of English, math, and science and in 1917 added courses in agriculture, auto mechanics, blacksmithing, carpentry, and shoe and leather work. The institute was licensed as a private junior college in 1931 and three years later had grown to a campus of 500 acres, 16 buildings, 340 students, and 17 teachers. At the time of J. E. Johnson’s death the school had more than 700 students, 24 buildings, and 44 faculty members. In 1955 the Prentiss Institute formed a relationship with the Heifer Project (later renamed Heifer International), a nonprofit organization that promotes sustainable agricultural practices by donating livestock to needy individuals and communities. In June of that year the first shipment of heifers was sent to the Prentiss Institute. When the second batch arrived on Christmas Day, Prentiss administrators asked local white farmers to help distribute the cattle to needy white families in the area, an unprecedented effort to promote goodwill and social justice across racial lines during a tense time in Jim Crow Mississippi. Because its funding came from private sources, the Prentiss Institute always remained on unsure economic footing. The Supreme Court’s 1954 Brown v. Board of Education decision declared school segregation unconstitutional, though the State of Mississippi failed to fully enforce the new law until 1969. While the state’s public schools slowly integrated, the enrollment at historically black schools dwindled. By 1981 enrollment had dropped to 150 students, and in 1989 the Prentiss Institute closed its doors as an educational facility. With the help of a preservation grant from the Mississippi Department of Archives and History, alumni subsequently rallied to restore the school’s concrete block facility, which had been constructed in 1926 with money provided by the Julius Rosenwald Fund. On 24 February 2013, the building was rededicated, and the following year the Mississippi Heritage Trust awarded the Prentiss Institute Trustee Board a Heritage Award for Restoration. The building now houses an auditorium, classrooms, and a museum, and the board rents space to community organizations, groups, and families.